First edition first print hardback published by Hamish Hamilton in 2018. Signed by Marías on the signature page. 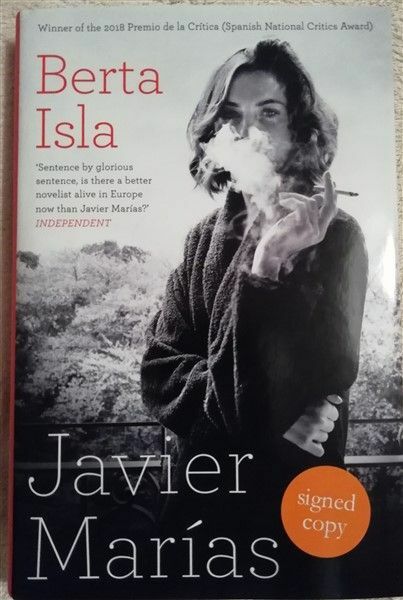 First edition first print hardback of BERTA ISLA by Javier Marías and published by Hamish Hamilton in 2018. 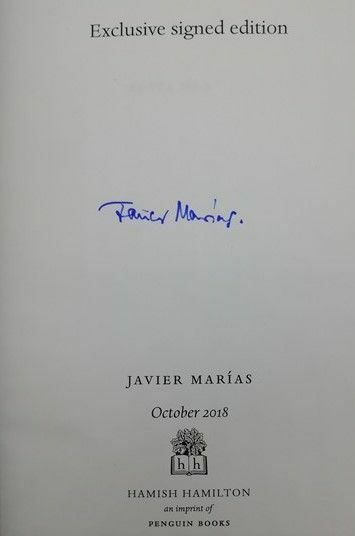 Signed by Marías on the signature page. The book is in fine condition (black cloth boards with white lettering to spine) with no significant wear. The book is in a very near fine unclipped dust jacket which has a 'signed copy' sticker on the front. Internally the pages are clean and tight and there are no tears or other inscriptions.